Steiner Optics 280 Military-Marine 8x30 Model 280 Binoculars FREE SHIPPING! The Military-Marine 8x30 Model 280 Binoculars from Steiner Optics are a tough, dependable and powerful pair of binoculars designed for users who prefer extreme conditions. Their ruggedized construction is built to perform over a wide range of conditions including tactical surveillance, wildlife viewing, big game hunting and nautical adventures. Their precision cut optics are multicoated for maximum light transference, ensuring a brighter image in fading light conditions. The comfort driven eye-pieces are great for extended use while the Model 280's extended eye-relief is compatible with eyeglasses. A rubberized armor exterior protects the binoculars from impact damage while also providing a reliable grip surface for use in wet conditions. Waterproof seals ensure moisture and fog will not penetrate the optic's body. 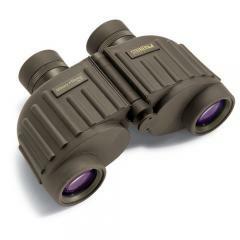 ©2002-2019 CopsPlus.com: Steiner Optics 280 Military-Marine 8x30 Model 280 Binoculars FREE SHIPPING!